There’s nothing like going to a specialty shop that has a rich assortment of quality products, that takes risks on new brands and models, and really knows their stuff. 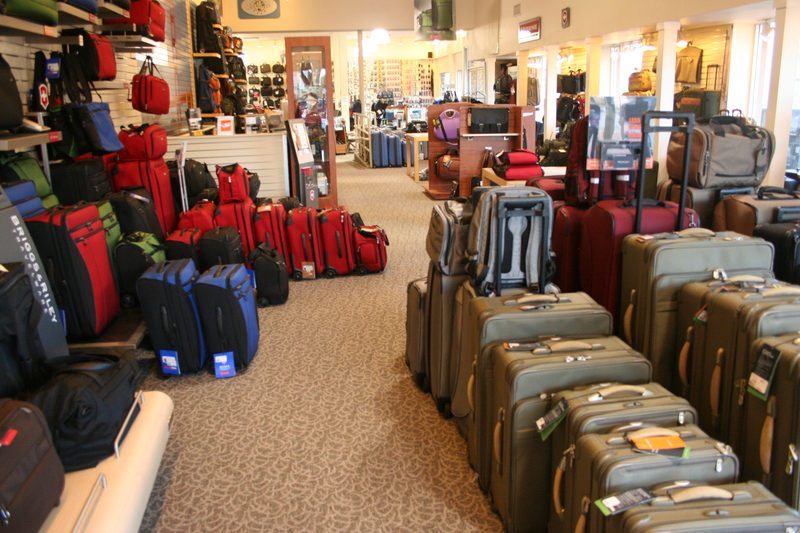 I was lucky enough to go into two such places, both for luggage, in the last two weeks. 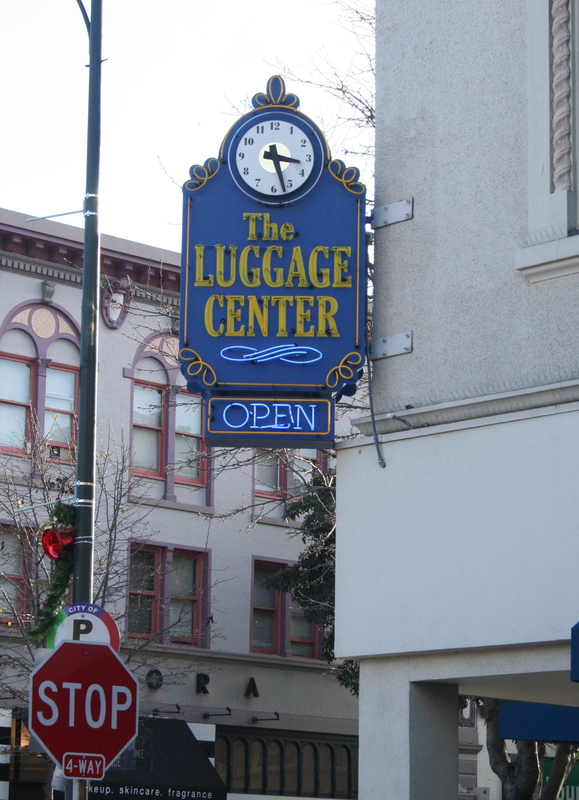 The first was The Luggage Center in the sweet little shopping district of Burlingame, CA. I took photos of two of the more colorful offerings in the shop because I knew they’d pop in this blog. 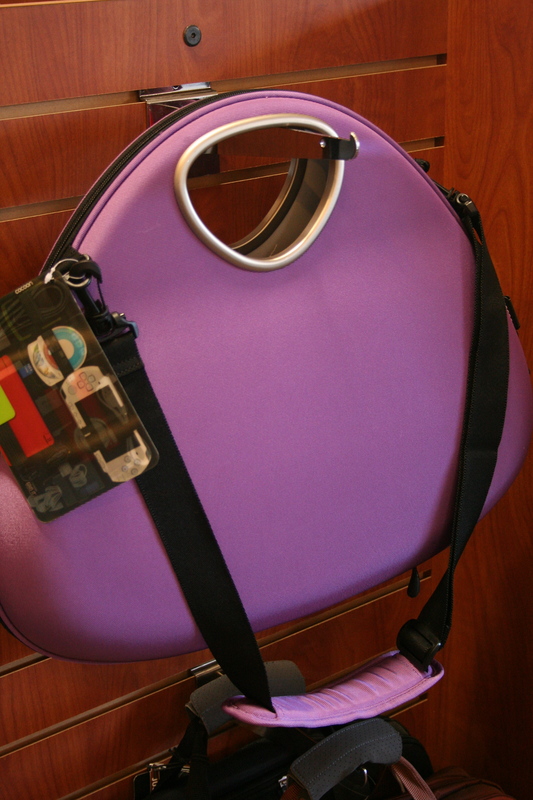 I was delighted to see The Luggage Center carrying a laptop bag from a Grommet supplier, Cocoon. 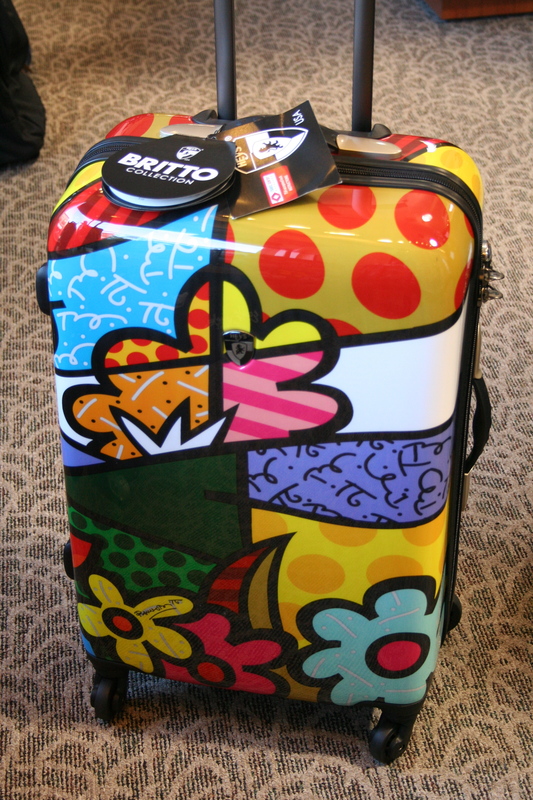 And I had to smile at this colorful rolling case from Heys (Britto Collection). You’d never confuse it with someone else’s. Unless it gets wildly popular, which it could. It’s surprisingly lightweight and was well-constructed. Anyway, it was great to show up at the shop and have the woman behind the counter efficiently take my bag and details and tell me they would have it fixed in about a week. Yay! I loved that she was recording repair orders by hand so I asked if I could take a picture. You can see her suspicion in her eyes, but she let me take in nonetheless. I believe in supporting these businesses. Specialty retailers are the lifeblood of innovative products, they create texture and fabric in our towns and cities, and they create jobs for people who have a passion for their specialty. And they are steadily getting killed. I’ve written about the cost of discount culture before. Bottom line: if we think low prices on everything are our birthright, then we should be prepared to inherit the rest: a landscape of soulless chain stories and Wal-Marts. What can we do? We can make a huge difference if we move even just 10% of our purchases off-line, and away from the big box, to these little-guy shops. They need us very badly. It might cost slightly more but the cost of not supporting these businesses is even higher to each of us. We’re not so much the rare exotic bird, as the 800 lb gorilla. Why not put the fun back into travel by solving the entire baggage problem with one sturdy well-made steel luggage cart? All three of those bags will fit on one cart, so you free up a hand — and a shoulder. That, alone, will make you feel lighter on your feet and give you a more fun and relaxed outlook! Nice idea Gene….I think you should invent that, and I’d love to take a look at it as a possible Grommet! If I had a quarter for every time I came here.. Superb writing. Thank you very much Horace!